Acrylic Sealer. Where and When? Not just a final coat. Not just a final coat. painting process easier and more fun. Understanding when and where to use an acrylic sealer is a very important part of your painting process. 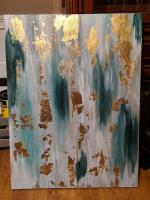 There are lots of times during the construction of a painting when using a sealer is vital. Now...we'll start at the beginning. Raw products such as board may leach contaminants into your painting. 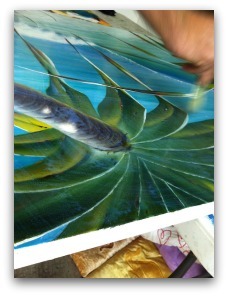 It's important to separate your painting from those contaminants with a layer of something that seals. Binder medium, tannin sealer and similar products are perfect for that. Make sure that whatever nasties are in your painting surface stay buried. You need a couple of good solid coats as a bare minimum. While gesso is not really considered an acrylic sealer, there are times when it fulfils that function. Not as effective as binder medium, it is still a great product for sealing cheap canvases. A good thick coat of gesso makes a better surface to paint on, and often makes cheap canvases less porous. 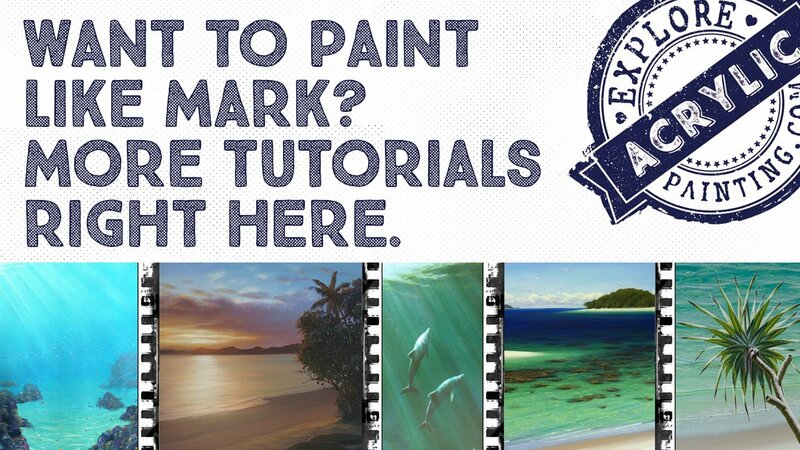 Your paint "slides" around more easily. Gesso is also great for priming unprimed canvas. Reasonable quality canvas shouldn't leach any tannins, so gesso is usually enough. If you want your paintings to last, it's a great idea to consider having a good quality acrylic gesso as part of your painting kit. The bonus is with gesso, that you can build some texture into your work while sealing your surface. While not necessarily considered to be acrylic sealers, there are many products out there suited for that purpose. For example a coat of (Chroma) Gloss Medium, or Impasto Gel can effectively seal your painting, allowing you to work over it without affecting what's underneath. The beautiful thing about Impasto Gel is that it gives you some texture you can use in your next coat. Sealing the surface below allows your brush to glide easily. As well as that, you are building another layer of clear, which separates the layers of your painting. 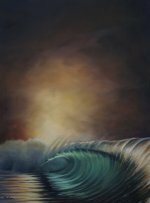 This gives you a wonderful and luscious three-dimensional feel to your painting. The other sensational thing about acrylic sealers is that they are brushed on. No stinky fumes or sprays, no poisons in your lungs (always a good thing), and easily applied. Easily cleaned up too. I reckon the more layers, the better. Varnish. The great thing about acrylic varnishes is they are not necessarily the final coat on your painting. Depending on the product, you can work usually work over them. However, that is usually the function - to seal and protect your work. Make sure you do some research about how your chosen acrylic sealer will work with the brand of paint that you use. Check that you can still work over it if you want to. 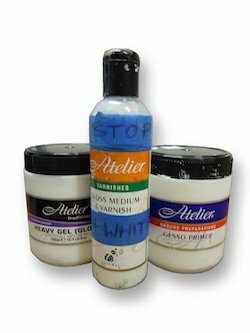 We've recently discovered that Chroma do not recommend the above products as a finishing sealer for your work (over Atelier Interactive paints). The reason for this is that the Interactive paint can absorb the varnish before it has time to be spread over the dry paint. However, I don't have any problems with it, and I like it. I lay my canvas flat, pour the varnish on, and spread it around quickly with a large brush. I usually do this 2 or 3 times. I don't apply it when the canvas is hot, or outside. You can have a look at Chroma Finishing Varnishes for their recommended process. I'm uncomfortable with finishing a painting with something that I can't easily work over again if I want to. (Are your paintings ever finished?). Now. Spray varnishes. Not a fan. Messy, stinky, and they are usually laden with toxic chemicals. This is not good for you obviously, and can also at times cause problems with your paintings. Sometimes these harsh chemicals can cause a reaction. Occasionally as severe as blistering,(your painting, not yourself. Although……fair warning….not for consumption…..) cracking or otherwise discolouring your finished piece. With any luck this has answered some questions you might have about acrylic sealers. Remember, different products do different things, so make sure you ask some questions. Having said that, knowing the potential applications of a sealer allows you to work with a little more freedom and confidence. And that's always a good thing.